An inspiring new collection of design-led street furniture from Landscape Forms has been launched in the UK, by Cheshire-based Bailey Artform. Aimed at helping landscape architects and specifiers to enrich outdoor public spaces, the award-winning Landscape Forms product range combines innovative urban design with functionality and sustainability to create aspirational and effective landscape architecture. Bailey Artform is at the leading edge of integrated landscape design and can offer a single supplier solution, from project conception to completion. As exclusive UK distributor and installer of Landscape Forms products, including the ground breaking Metro 40 collection, the company is set to open up new innovative and forward-thinking urban design possibilities for landscape architects and specifiers. 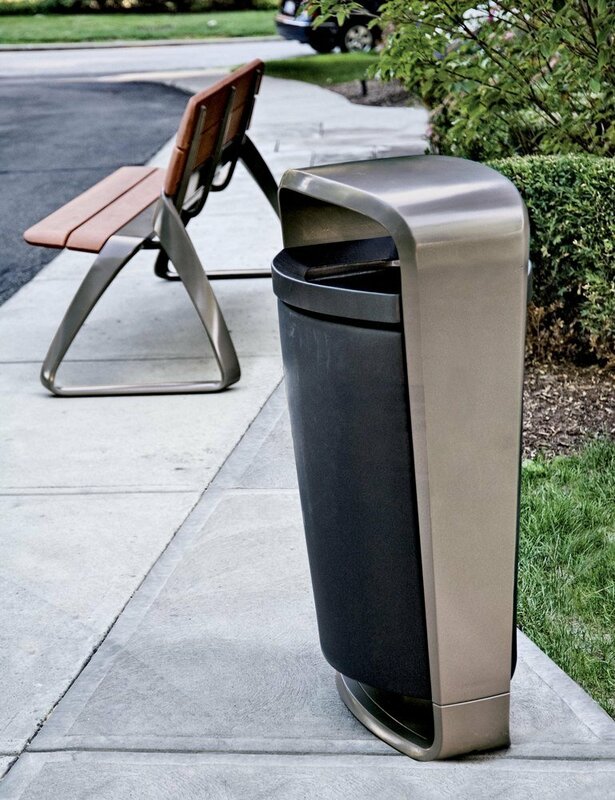 Landscape Forms street furniture products include design-led seating, chairs, benches, shelters, bollards, waste bins and advanced LED lighting, all of which have been hand-picked to help architects and specifiers bring their visions to life. Manufactured utilising recycled content aluminium and steel and FSC-certified timber, they are suitable for installation in a broad spectrum of outdoor urban environments, including the leisure, retail, education, commercial, new construction and renovation sectors. With a turnover of 80 million dollars a year, Landscape Forms is well established in the USA as the industry leader in integrated collections of high-design street furniture and advanced LED lighting. Bailey Artform’s introduction of its cutting-edge product range to the UK will ensure that landscape architects and specifiers have access to the most stylish, yet functional and sustainable, street furniture products on the market.